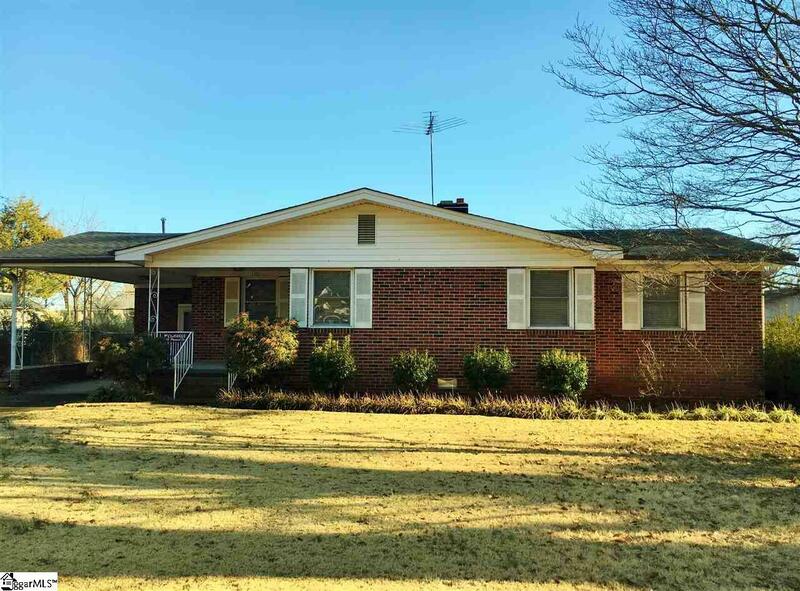 Adorable lovingly-maintained ranch in the heart of Mauldin, just a short walk from Springfield Park, the Rec Center, and the Cultural Center. Large kitchen, living room, and den. Gas is available for the stove. Built-ins in the den. Lots of closets and storage. Only one owner since it was built around 1960. Meticulously cared for and it shows!! A lot of the big-dollar updates have already been done. Wood floors recently refinished. Windows have been replaced with thermal vinyl windows. Roof is about 6 years old. HVAC replaced about 2 years ago. Electric was updated a few years ago, including adding GFIs in the kitchen and bath. With some imagination, the den could be converted into a bedroom and bathroom, creating a master suite, and a 3/2. Alternatively, the window in the Den could be changed to French doors, giving access to the large fenced backyard and whatever outdoor oasis you might create. At this price, there is a lot of potential!! Shed conveys with the home. No known problems with refrigerator, freezer or washer/dryer, but they will convey AS-IS.